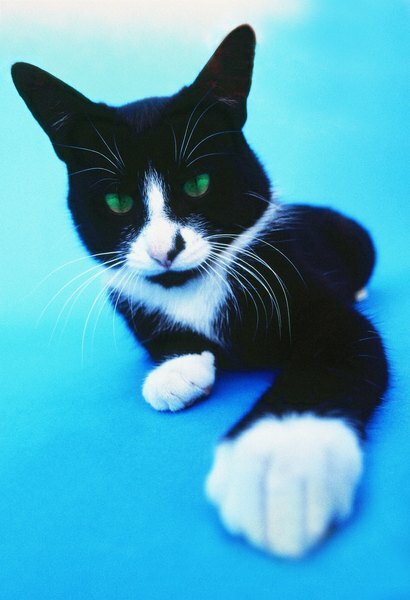 What Does It Mean When a Cat's Paws Are Cool? Was your kitty just chilling out, or is she really sick? While the myth of feeling a pet’s nose to determine health status has long been debunked, take pause to assess the reason why your cat’s paws may feel cool. The explanation could be logical and harmless, but it also may be indicative of a health concern that warrants veterinary attention. Do You Know Where Those Paws Have Been? Like your own skin, your cat’s paw pads sense temperature changes on surfaces that they touch. If your kitty has just come in from making paw print patterns in the dusting of snow on your deck, her paws are going to feel cool. Likewise, if she has wiled away the summer morning seated on the natural stone tile floor in front of the patio door to engage in bird viewing, she may present you with a mildly chilly paw. Perhaps you have a cat who loves to play with the water in her drinking dish and use it as a feline finger bowl. If you witnessed any such activity and as long as Cali is active, eating and showing no signs of illness, she likely simply chilled out her paws somewhere and they should warm up again. Did Your Kitty Have Anesthesia Today? If your cats paws feel cool and she has undergone an anesthetic procedure today, such as a spay or a dental cleaning, her temperature may have dipped. This is a common effect of general anesthesia, which is why patient temperature is monitored during the procedure and initial recovery. The clinic staff assessed your cat before discharging her into your care and would not allow her to go home with you if her temperature was too low for comfort. However, it is best to err on the side of caution and call your veterinarian to report your concern if your kitty’s paws feel cool. If your cat’s paws feel cool and the above explanations do not apply, the situation is cause for concern and it is time to call her doctor. The first thing he will do is check her temperature. Hypothermia, or abnormally low body temperature, is due to serious illness and occurs when the body is exhausted and can no longer regulate temperature. Cool paws also can be indicative of a heart condition in which blood circulation to the extremities is compromised. After assessing your cat’s temperature, your veterinarian will proceed with questions and appropriate diagnostic tests to determine the cause. If your cat is suffering from hypothermia, the list of potential causes to rule out includes shock, bacterial infection, heart or kidney failure, diabetes and overdose of narcotic or sedative drugs. Whenever your cat’s paws feel cooler than usual, take a moment to reflect on your cat’s location and activity prior to this discovery. Evaluate her recent overall demeanor. If she seems lethargic, is stumbling, vomiting or crying, bring her immediately to a veterinarian. Her paws may be telling you that she just woke up from an afternoon nap in the bathroom’s porcelain sink, but they also could be cluing you in that something is wrong and must be addressed. Pay attention to your kitty’s paws, as well as the rest of her. Prompt response to any abnormality is always her best chance for recovery.